Vicky Barton (Jean Simmons) and her brother Johnny (David Tomlinson) arrive in Paris on the eve of the 1889 World’s Fair. They’re traveling through, but Vicky, excited about her first trip to Paris, convinces Johnny to spend the next day in the city and take her to the fair. That night, the siblings dine in Montmartre and see a show at the Moulin Rouge. The next morning, Vicky waits for her brother to pick her up for breakfast. When he’s late, Vicky visits the hotel desk to get Johnny’s room key and check on him. Not only do they not have his key, but the proprietor tells Vicky no such room exists and Johnny was never there. Frantic, Vicky searches for Johnny and tries desperately to prove he was with her. The more she insists her story is true, the more people think she’s crazy. With no money, no friends, and no proof, how will Vicky find her brother? So Long at the Fair differs from the other manifestations of this idea in its presentation. 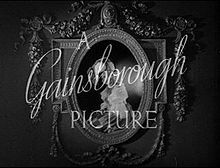 The Jean Simmons version was a Gainsborough Pictures production which means lavish sets, period costumes, and pearl-clutching drama. Costume drama is not usually my favorite film genre, but So Long at the Fair is a good film with some genuinely tense moments. That probably has a lot to do with the cast and director. 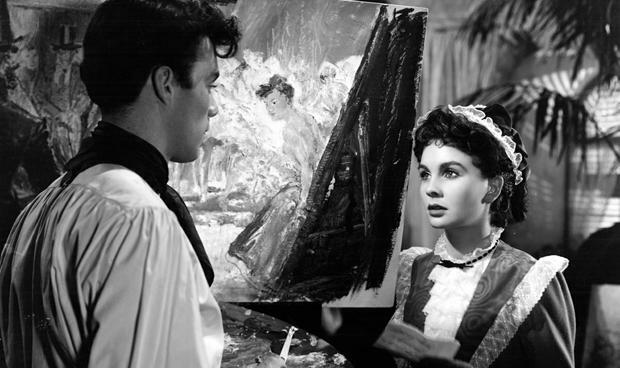 Jean Simmons carries the film well. She’s a sweet, innocent girl in peril, but she’s smart and strong enough to stand up for herself and find her brother. She could easily have gone all limp and useless, but the story and the actress are stronger and that makes it more fun to watch. Along with Simmons, the cast includes a few other up-and-coming British actors who acquit themselves well and look lovely too. Honor Blackman has a small part as does the wonderful Andre Morel and the gorgeous Dirk Bogarde. 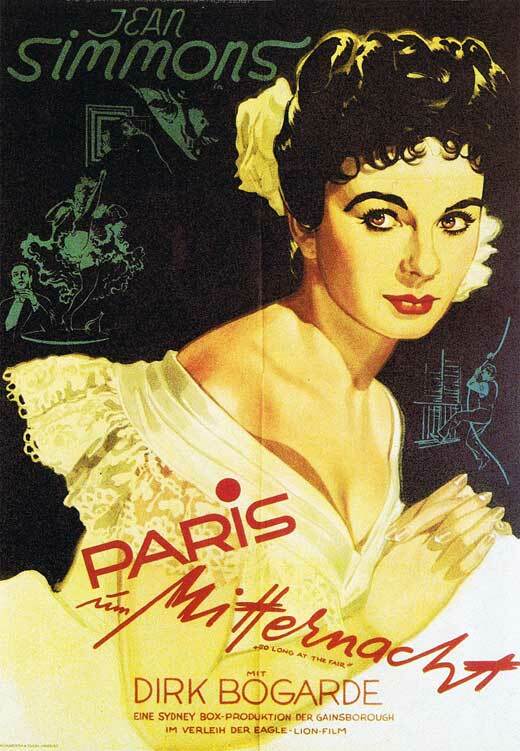 Bogarde has a nice supporting role as a well-heeled artist living in Paris who helps Simmons in her brother quest. 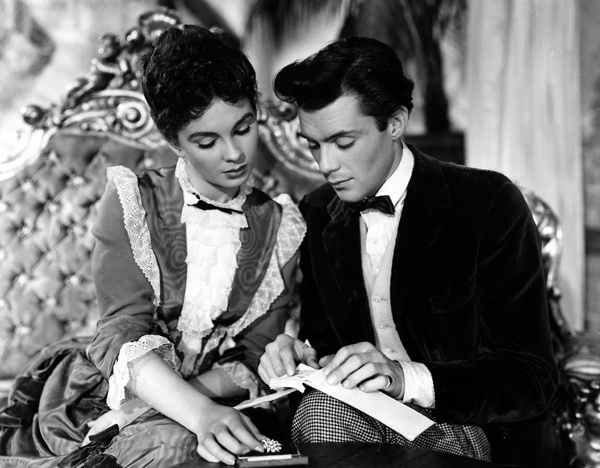 Bogarde is young and handsome and terrifically appealing in this film. He and Simmons look good together. 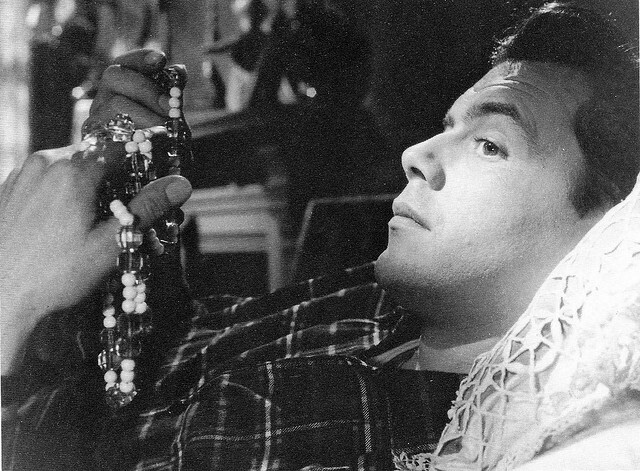 Did I mention Dirk Bogarde is incredibly attractive? Oh all right. I’ll stop. He is though. Another reason So Long at the Fair works as more than a vehicle for young stars is the direction by the talented Terence Fisher. Fisher directed a boatload of noir, thriller, and horror films for Hammer Film Productions from the 1950s through the 1970s and his ability in those genres transforms So Long at the Fair from the usual Gainsborough melodrama to a more thrilling mystery and makes the heroine’s situation that much more frightening. When in doubt, ask some nuns. 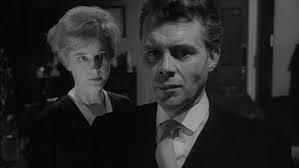 Unlike Bunny Lake Is Missing (1965) and other Gaslight-type films, we know Vicky’s brother exists. We’ve seen him. The question is will Vicky ever see him again? Thanks for the inspiration, Terence! 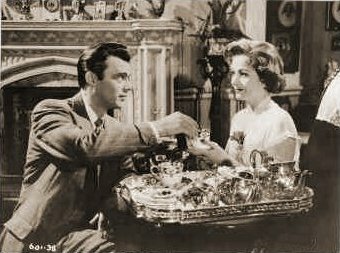 Edward Bare (Dirk Bogarde) leads a life of leisure. He spends his days taking drives in his fashionable car, shopping, then retiring to his large country home with his wife, Monica (Mona Washbourne). Monica, or Mony as he calls her, is somewhat older than her handsome husband and comes from a more refined social class. Despite their differences, Mony loves her Teddy Bare and he, in turn, dotes on his elderly wife. He is kind and solicitous toward Mony and she takes pains to teach Edward about etiquette and culture. Everything moves along swimmingly until Mony’s attorney, Philip Mortimer (Robert Flemyng), who dislikes Edward, calls on Mony and asks her to rewrite her will, leaving Edward out. Mony, you see, inherited great wealth when her first husband died. Philip is pretty sure that Mony’s money, and not her charm, compelled Edward to marry her. When the two shoo Edward out of the room to discuss Mony’s fortune, Edward fears the worst. Edward hears that Mony will sign a new will the next morning. Assuming the new will excludes him, Edward concocts a hasty plan. He’ll have to move fast or lose Mony’s wealth and his carefree lifestyle. Fear convinces Edward to act rashly. Without going into too much detail, things go poorly for both Mony and Edward. Mony won’t be coming down to breakfast and Edward learns he may have jumped the gun a bit. After Edward’s miscalculation, he needs another sugar momma or he’ll have to do something drastic like get a job or some such nonsense. Enter Freda Jeffries (Margaret Lockwood), a brassy ex-barmaid who married the boss and inherited the pub when he died. She sold the business and now she has money, but no direction. Edward is taken with Freda’s straightforward personality and her healthy bank account. Edward and Freda decide to make a go of it, but she’s no fool. She knows he’s a fortune-hunter, but she can’t help herself. 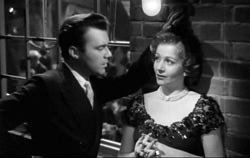 Despite her street smarts, Freda falls for Edward. All this time, Philip, the attorney, hangs around Edward hoping he’ll spill the beans about Mony’s suspicious death. Freda is having none of it though and stands by Edward until another woman enters the scene. Charlotte Young (Kay Walsh), yet another lonely, rich woman starts to show a little too much interest in Edward and then all bets are off. 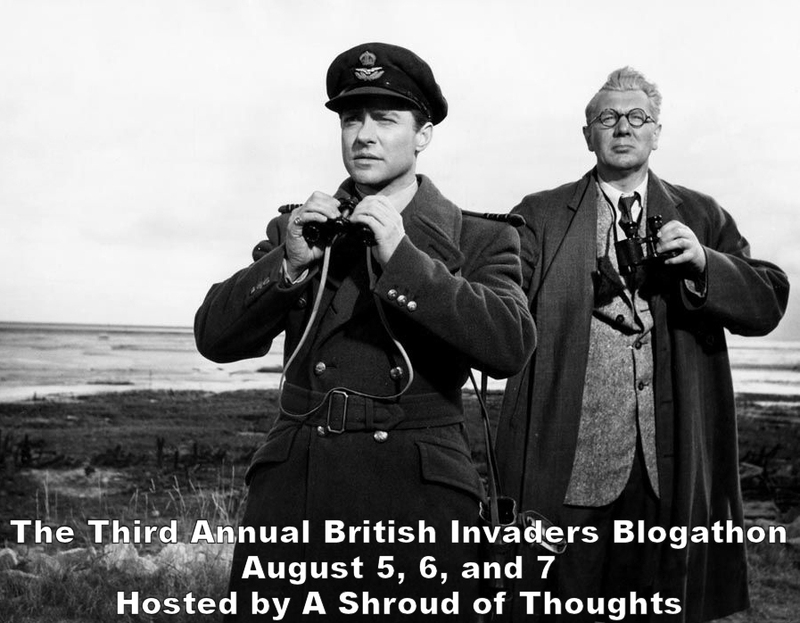 I’ve said this before, but I love the look of British films of the 1950s and 60s. That shadowy black and white quality serves as a great backdrop for actors. This is not a toney art film and director Lewis Gilbert (Alfie, The Spy Who Loved Me) hangs back and lets the talented cast work. Dirk Bogarde connives and plans and even outsmarts himself, but he does it so beautifully, you find yourself cheering for him. Margaret Lockwood always delivers a strong performance. She’s wonderful as the sarcastic and real Freda. 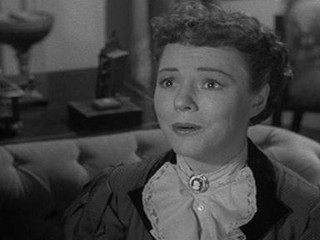 She was even nominated for a BAFTA for best British actress for her role in this film. Writer John Cresswell based his screenplay on Janet Green’s play, Murder Mistaken. 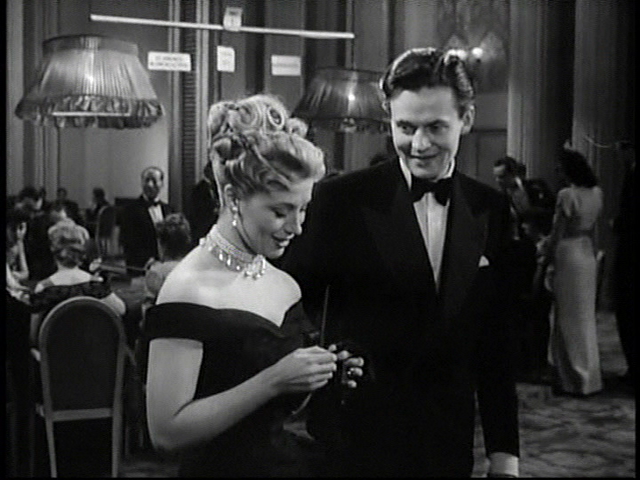 The snappy dialogue gives Lockwood and Bogarde a chance to shine and surprises throughout the film keep you guessing. If you’re looking for a sharp thriller with some black comedy, CAST A DARK SHADOW fits the bill. 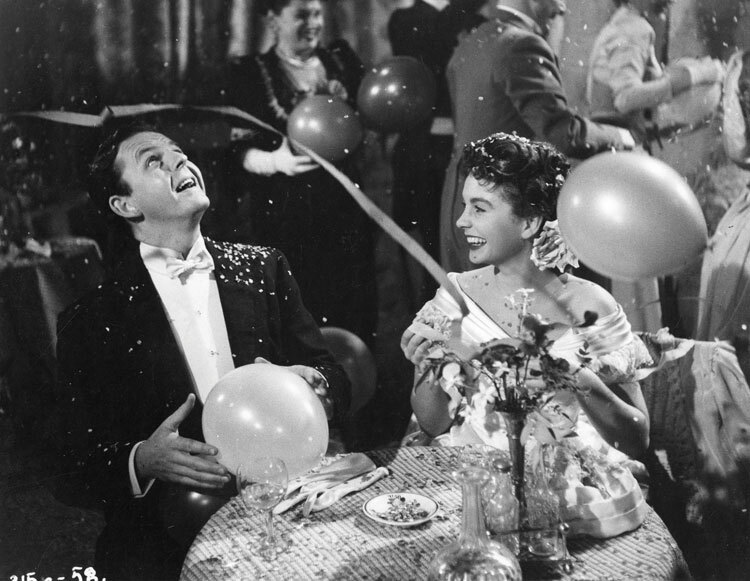 The anthology film began as early as the 1920s in Germany and achieved a modicum of fame during the 1940s and 1950s. TALES OF MANHATTAN (1942) dramatizes the adventures of several people who come in contact with a certain tuxedo jacket. 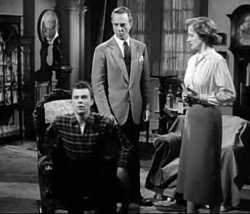 DEAD OF NIGHT (1945), a British horror anthology, involves intersecting stories of people who meet at an English country house. Many consider DEAD OF NIGHT the inspiration for the Amicus Studios portmanteau horror films of the 1960s and 1970s. FULL HOUSE features five stories written by O. Henry and introduced by John Steinbeck. Beginning with DR. TERROR’S HOUSE OF HORRORS in 1965, Amicus Productions made several anthology horror films including TORTURE GARDEN, ASYLUM, and VAULT OF HORROR. Neil Simon made the anthology comedies PLAZA SUITE (1971) and CALIFORNIA SUITE (1978). In 1995, Quentin Tarantino and three other directors made FOUR ROOMS which center on a hotel on New Year’s Eve. V/H/S (2012), its sequels, and THE ABCs OF DEATH (2012) use the anthology format for their horror-filled tales as well. 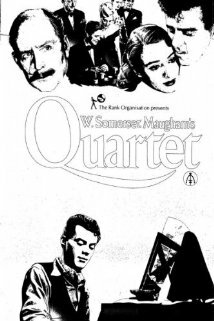 Even this film, QUARTET, was followed in 1950 by TRIO, a set of three Maugham tales also introduced by the author. Bottom: Steinbeck from FULL HOUSE. Introduced by W. Somerset Maugham, QUARTET tells four of the author’s stories. All four are set primarily in Britain, but cover a variety of subjects. 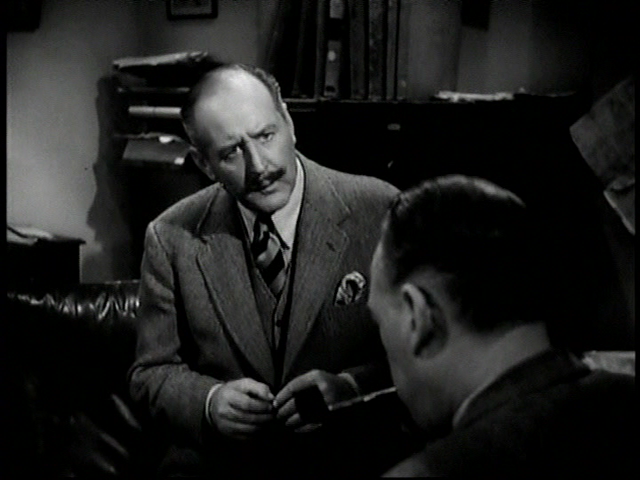 The first, THE FACTS OF LIFE stars Naunton Wayne, Basil Radford, and Mai Zetterling in the story of a college student who travels to Monte Carlo for a tennis tournament and forgets all the advice his stuffy father gives him. Against Dad’s wishes, he gambles, lends money, and gets involved with a woman. We’re curious how these missteps will affect the young man. Will he fall prey to his vices or emerge from his adventures unscathed? 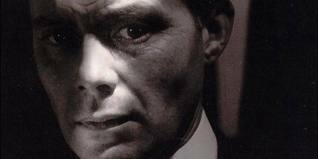 THE ALIEN CORN stars Dirk Bogarde as a young man from a wealthy family who dreams of becoming a concert pianist. He has just graduated from Oxford, so naturally his family has plans for him. Bogarde surprises them and the girl who loves him (Honor Blackman) when he mentions his musical desires, but they work out a bargain. Bogarde will study the piano in a French garret for two years. At the end of that time, he will play before a professional pianist. If that pianist thinks he shows promise, Bogarde will continue with his dream. If not, he will begin a career in law or politics as his family wishes. Bogarde does a wonderful job of expressing his passion for music. We watch him practice and dream and we root for him. As with the rest of the stories in this group, THE ALIEN CORN has a solid cast and an unexpected ending. 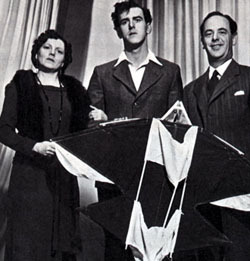 In the third segment, THE KITE, George Cole plays Herbert Sunbury, a man with an unusual hobby. He loves kites. He and his parents, Hermione Baddeley and Mervyn Johns spend every Saturday afternoon at the park flying kites and many hours the rest of the week designing a special kite of their own. When he meets a girl who thinks his kite-flying is immature and silly, George must decide where his priorities lie. This story surprised me. I thought it might be the comic relief segment of the film, but it was a lot deeper than I originally thought. The cast of veteran character actors including Bernard Lee elevated what could have been an average story to something more. Lastly, THE COLONEL’S LADY, directed by Ken Annakin tells the story of a dutiful wife (Nora Swinburne) who writes a book. The romantic and sensual tale of a doomed love affair is a surprise hit and booksellers can’t keep it on the shelves. Her stuffy, self-important husband (Cecil Parker) can’t be bothered to read it. He’s too busy drinking at his club and nuzzling his mistress to pay attention to his wife until people begin to theorize that the love story may be her own. Now the colonel takes notice. This last story shows the most restraint and Nora Swinburne does a lovely job as the ignored wife. As with all four stories, the ending might surprise you. QUARTET boasts a wonderful cast of British character actors and short stories that hold your interest. Maugham has a way with angst as do the players. I’m a big fan of anthology films and this is a good one. Boy Barrett (Peter McEnery) sees a police car pulling up to his job as a clerk on a construction site and runs. Desperate, he goes from friend to friend trying to borrow money or a car to leave London. Boy embezzled money and the police are on his trail. His friends console him and try to help, but Boy gets picked up at a roadside diner and police bring him to headquarters. 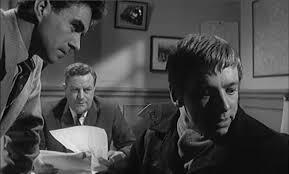 There, sympathetic Detective Inspector Harris (John Barrie) and his assistant Bridie (John Cairney) attempt to convince Boy to talk to them. During their investigation into the missing funds, the detectives discover that despite his windfall, Boy lives simply and has no cash at his tiny flat. To the police, that means one thing: blackmail. 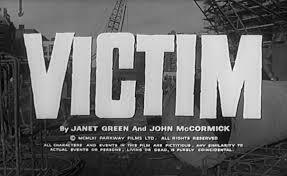 That blackmail and those affected by it on both sides of the law are the focus of director Basil Dearden’s taut drama. Early in the film we learn the reason behind the blackmail is Boy’s homosexuality and his desire to shield another from both blackmailers and police who could still arrest gays until 1967. 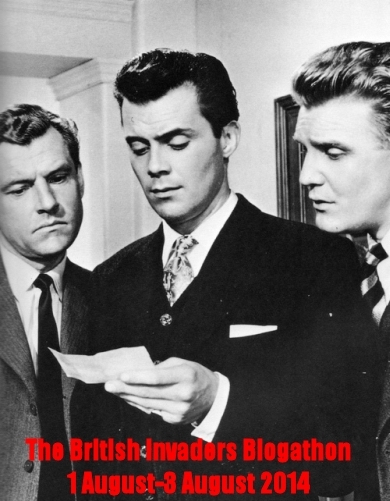 When Harris finds clippings about a prominent barrister in a scrapbook Boy attempted to destroy, he summons subject Melville Farr (Dirk Bogarde) to the station to learn if Farr knew of the plot. When he hears of the police’s theory and the consequences, Farr decides to root out the cowardly criminals even if it means the ruin of his own highly successful marriage and career. We see Farr as a man of great integrity who lives by his principles. He has a lovely wife, Laura, played with restraint by Sylvia Syms (The World of Suzie Wong), a wide circle of friends, and a tremendous future in the law. His investigation threatens all that and yet he continues, trying to help others ensnared by the thieves without implicating them. As Farr learns more about the crimes, he sees many of the men victimized by the blackmailers and their reasons for paying off without seeking help from police. An older shop owner tells Farr he’s already been in jail three times and couldn’t bear it a fourth. A colleague of Farr’s must keep his activities under wraps or lose his career. 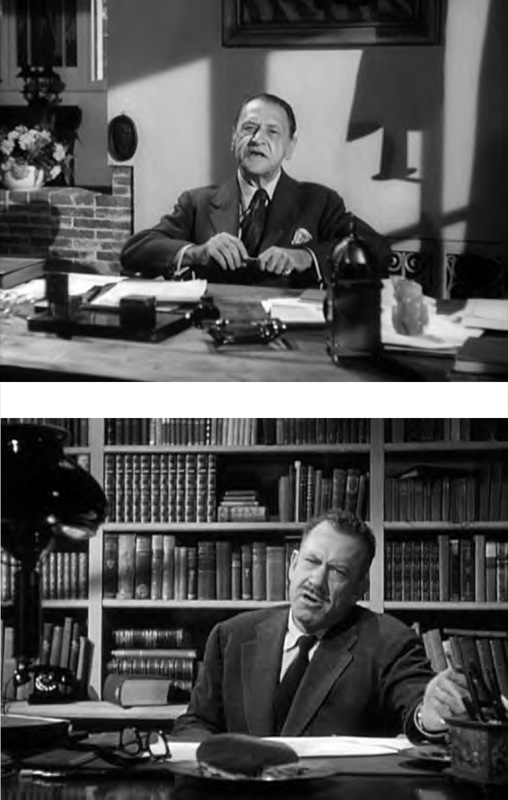 A well-known stage actor, placed by Dennis Price (Kind Hearts and Coronets) just wants the whole thing to go away. Harris: “Of course not. There was a time when that was against the law you know.” Farr’s family and close associates differ in their attitudes as well. His wife knows her husband’s history but trusts him. Laura’s heartbreak is based more on a feeling of betrayal and less about who Farr may have betrayed her with. Her brother, who shows disgust about Farr’s homosexuality makes a salient point. If Farr stays outside the law in his investigation of the blackmailers, he becomes as dishonest as those who would hurt him. These moral ambiguities make Victim a deeper, more satisfying watch. Basil Dearden and director of photography Otto Heller shot Victim in glorious black and white and the Criterion version looks crisp and gorgeous. Phillip Green’s spare music with piano punctuation blends seamlessly with the action on screen. The acting by the entire ensemble of veteran stars and character actors including Norman Bird, Derren Nesbitt, and even an uncredited Frank Thornton (Are You Being Served) looks natural and never over the top. Dirk Bogarde plays Farr brilliantly. He is stoic, but not unfeeling. The calm, subtle way he speaks with his wife, the police, and his fellow victims belies knowledge of the tragic turn he expects his life to take. Bogarde as Farr shows great strength of character and his resignation makes you believe him. As Farr says to Laura when they discuss his uncertain future, “My friends are going to lower their eyes and my enemies will say they always guessed.” I love this film. A decent man risks everything to fight something he knows is wrong. It doesn’t get much better.